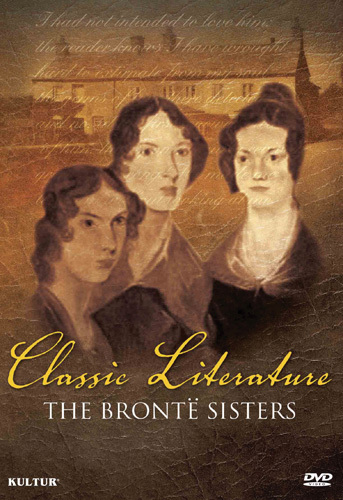 This film is a study of the popular and celebrated authors Charlotte, Emily and Anne Brontë. This absorbing film examines the women behind the famous name, the great works, the family and the locations key to lives of the Brontë sisters. The Brontës remain among the most popular and best-known writers ever, a staple for hundreds of thousands of students whose works are still studied and read around the world. 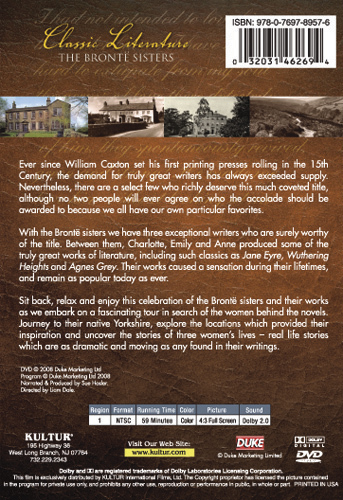 Literary greats like Jane Eyre, Wuthering Heights and The Tenant of Wildfell Hall are still read and enjoyed by millions around the world, and now you can discover the inspiration for these wonderful works, the locations which helped create legendary scenes and the political and social backdrop which shapes the writings of the Brontë sisters.